The 2013 eVolo Skyscraper Competition is now open for business and looking for the most outrageous, exceptional, unusual, and forward-thinking designs out there. One of our favorite annual architectural competitions, given its broad interpretation of what a building can be, we’ve always been particularly enthused by the environmental bent of many of the winner and runner up entries coming in since 2006. If you have a bold idea ready to be rendered and lauded, then the sky(scraper) is the limit! Thousands of entries throughout the years have resulted in some mind bending ideas. Winners have included the likes of glacier water storing towers in the Himalayas to wind generators wrapped inside of buildings in India. 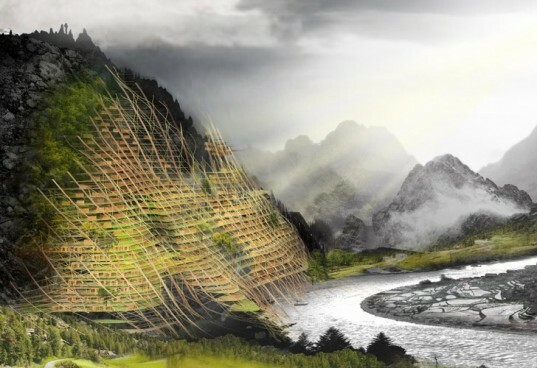 But that’s not to discount the runners up who could easily have taken top prize with projects such as an entire village designed to heal a strip mine in China, or a massive water purification green house on the rivers of Jakarta. 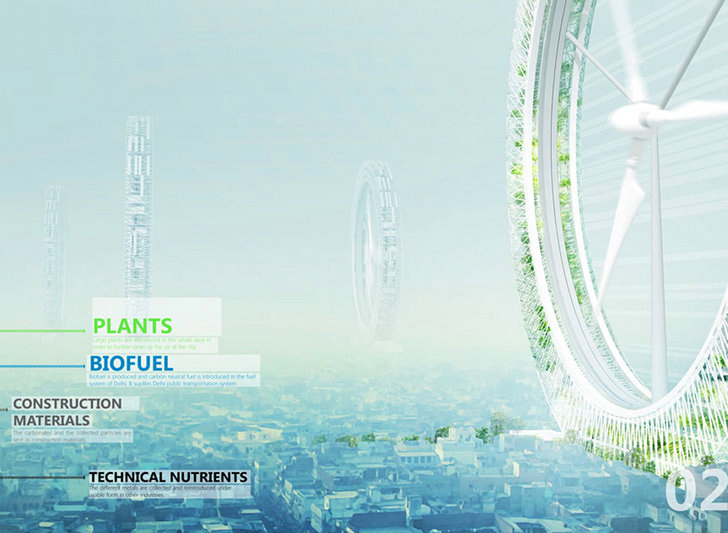 While not all the entries are about environmental issues, the concept of a skyscraper in itself is an inherently green choice in design. In designing this type of structure, therein lies the real-world challenge of housing a significant portion of humanity from now into the rest of the century. So sharpen you pencils and imagine what you would like to see built in the future. Entries for the 2013 eVolo Skyscraper Competition are due January 15, 2013 (submission fee $95) and the early bird registration ($75) ends on November 13th. The 2013 eVolo Skyscraper Competition is now open for business and looking for the most outrageous, exceptional, unusual, and forward-thinking designs out there. One of our favorite annual architectural competitions, given its broad interpretation of what a building can be, we've always been particularly enthused by the environmental bent of many of the winner and runner up entries coming in since 2006. If you have a bold idea ready to be rendered and lauded, then the sky(scraper) is the limit!